We would to introduce these CHILDREN who have been recently adopted into our MOW HAPPY CHILD program. All these CHILDREN are stricken with cancer. Please click on their pictures to find out more (please note that they are listed below in random order). 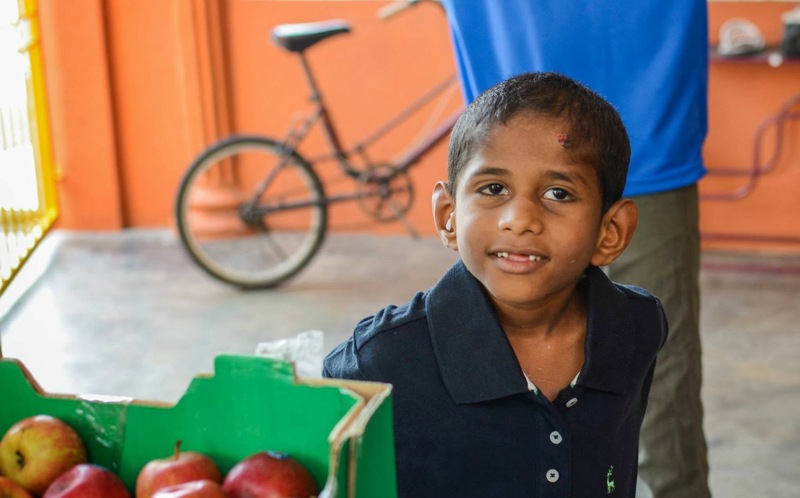 Aliya, Janice, Faisal, Fasya, Aiman and Umira are in our MOW HAPPY CHILD program as they need your support for their daily sustenance and wellbeing. They need special nutrients that are very costly and are beyond the means of their families. Most of them also have young and school-going siblings that add on to the burden of their families. A more detailed profile of these children, their family background and financial situation are attached at the end of this post. Under the MOW HAPPY CHILD program, these CHILDREN are provided with costly milk powder such as Peptamen and Nutren, as well as large quantities of diapers and wet wipes. We purchase these items and deliver to the CHILDREN on a monthly basis. If you would like to contribute to a specific HAPPY CHILD, please let us know his/her name. Otherwise we will pool your contribution into our MOW HAPPY CHILD program general fund. Please email your deposit slip to trccpenchala@gmail.com. 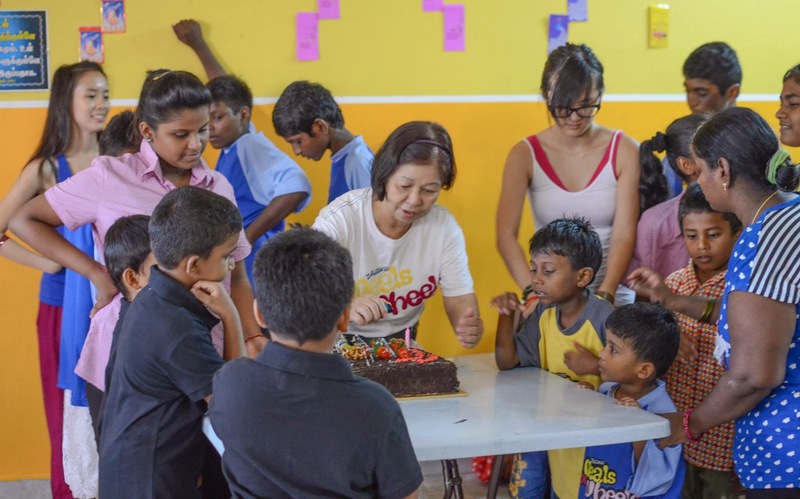 For any questions with regards to the CHILDREN of the MOW HAPPY CHILD program, you can contact Kim at 012-303 6019 (Saturday through Monday only) or email to yeapkimsee@hotmail.com. 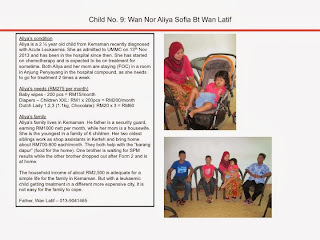 Siti Nurmaisara and Sasitharan, our first two HAPPY CHILD are still in the program, while Valentino has completed his treatment in UMMC and has gone home to Sarawak. On behalf of the CHILDREN and their families, we would like to express our utmost gratitude and appreciation for your compassion and support. 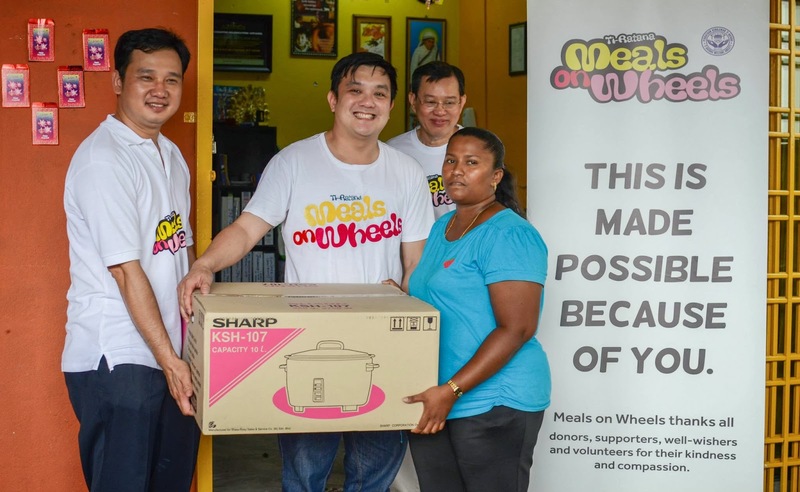 Despite the school holiday season whereby most fathers would be busy spending quality time with their children, Bro Ivan and Bro Swee Keong were delivering groceries to MOW FOOD BANK families, and this took up almost the whole of their Sunday. Bro Andrew also helped in the delivery and at the same time visited his numerous "adopted" children during the delivery. 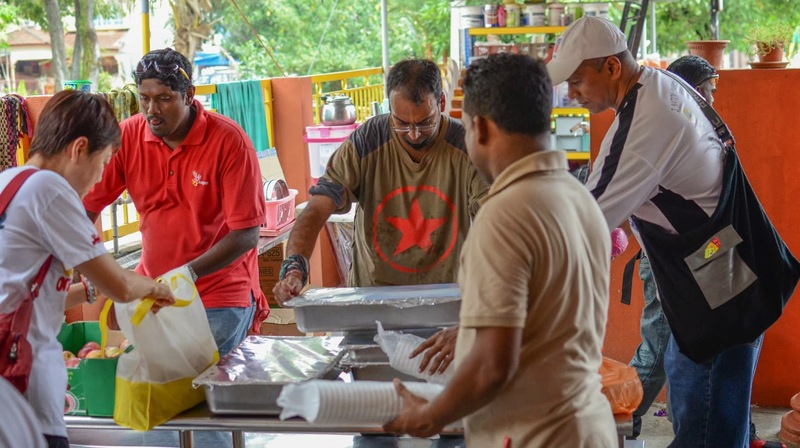 Their dedication in ensuring the families receive their monthly supply of groceries is indeed something to shout about, and the families are truly grateful for these volunteers' compassion. Strong muscles were needed for the heavy load but it was no problem for our volunteers! The task began from our centre in Penchala with the loading of the items into the MOW van. And of course, the families helped out in the carrying of the load too. The families receiving the groceries were all smiles, happy to have the assurance of food on the table for at least the next 2-3 weeks. We hit another milestone in our effort to reach out and help the urban poor - we now have 20 families in our MOW FOOD BANK program. 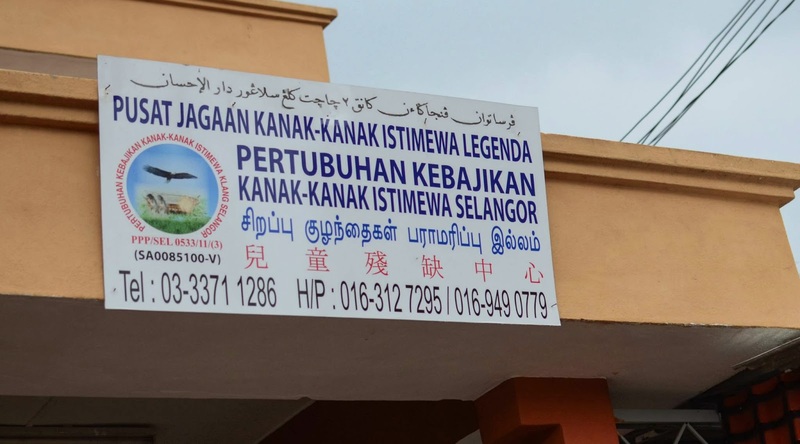 Last Tues, 5th Nov 2013, Bro Ivan, Bro Andrew and Bro CF spent a good part of their Awal Muharram holiday delivering groceries to these 20 families in Sentul, Setapak, Gombak, Sg Besi, Jinjang and Kepong. The families were eagerly waiting for the supplies as we were a little late with the October deliveries due to the long weekend of Deepavali. 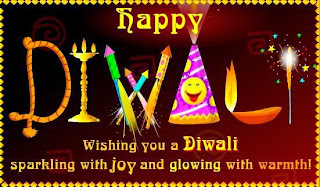 Thanks to Bro Lim, we have a video of this Deepavali celebration. Please click on link below to view the video. PJKKIL is a home for orphans and underprivileged children who come from abused, neglected, broken families or poverty background. It has been in operations for the past 4 years. The Home provides the basic necessities of food, shelter, education, transportation and medical needs to children whose age ranges from toddlers to teenagers and also single mothers. 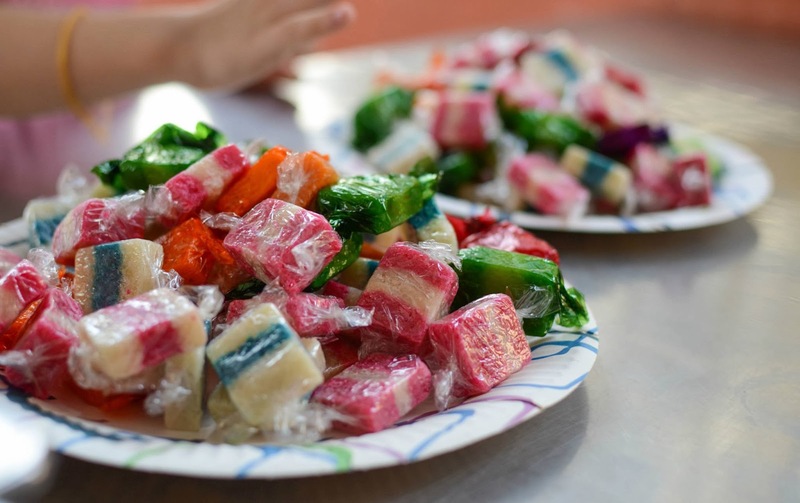 On Sunday, 27th October 2013, more than 20 volunteers from Ti-Ratana Meals on Wheels participated in the celebration of the Festival of Lights at PJKKIL. The first agenda of the day was to get the children fitted with new clothes, including MOW tees. The arrival of Joseph and friends on their super bikes caused a frenzy amongst the children who were really in awe with the bikers, their biker and their outfits! The bikers wanted to give the children a ride on their bikes after the event but alas, the wet weather spoiled the plans. Then the entertainment ... the children and volunteers were treated to dance performances by Kristle and friends, and of course the children happily joined in. One boy even did a head stand! After the dance, a cake was brought out, much to the surprise and delight of Kristle whose birthday was in the same week. 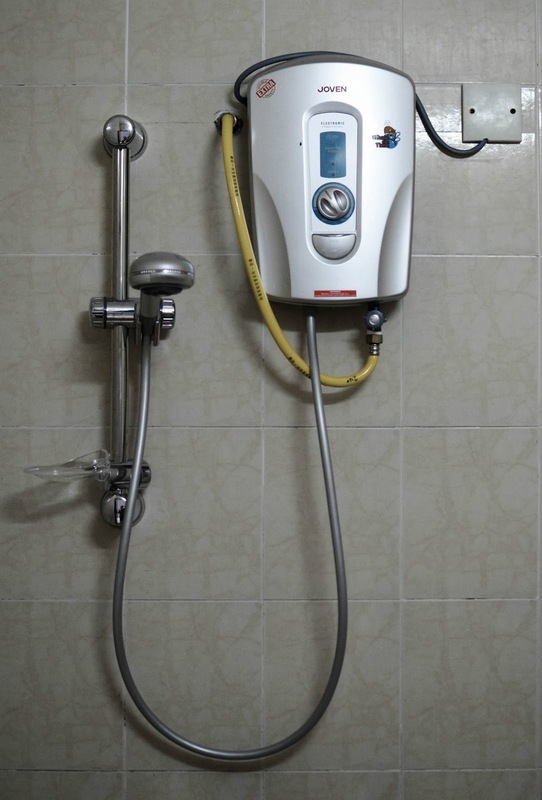 At the request of the Home, 3 units of water heater were purchased and installed before the event day, and we also presented a commercial rice cooker. The balance of the collection received for this event will be used to purchase school items for the children in Dec for the new school year in 2014. Lunch was chicken briyani, and of course Deepavali will not be complete without the traditional Indian sweets such as ladhu and candies. 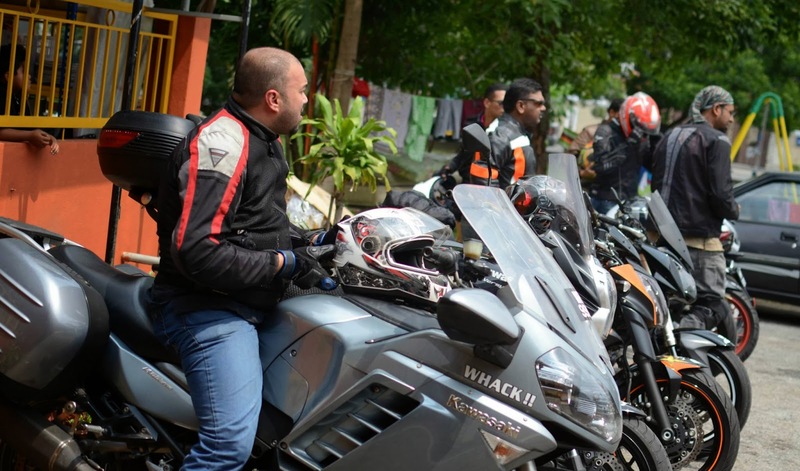 It was truly heartwarming to see the "machas with big bikes and even bigger hearts" (phrase borrowed from Amar ... thanks!) sorting out the trays of rice, chicken and curry. It was indeed a fun and joyous day for the children. You could see the delight on their faces with all that took place that morning. We would like to thank all donors and volunteers who helped make this event a success. And of course to all MOW volunteers, without whom this event would not have been possible. 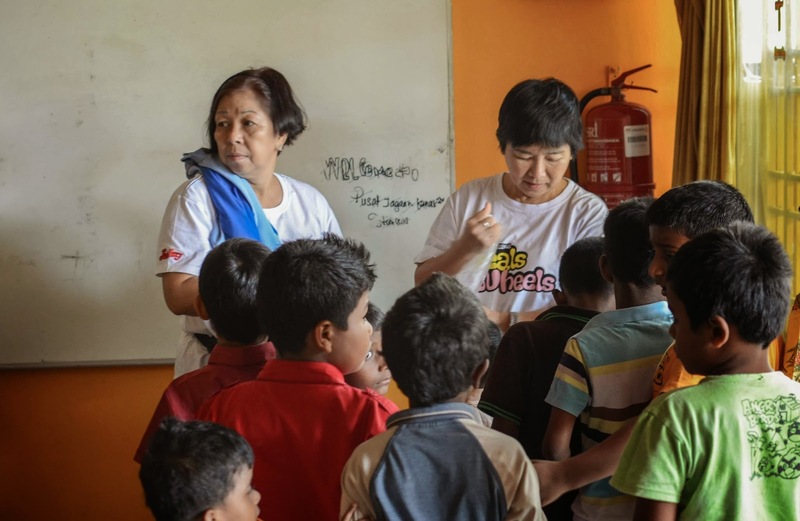 Mdm Ngai lives in Kepong with her husband and 3 sons. Her husband, Mr Lim has kidney failure and goes for dialysis 3x/week at NKF. He used to work as an excavator operator but stopped work 7 years ago because of his illness. The wife is also not well and visits UH every 2 months to get medication for fits. Their 3 sons, aged 14, 13 and 8 years are all very good students. The eldest boy scored 6As and the second boy scored 3As and 3Bs in their UPSR. 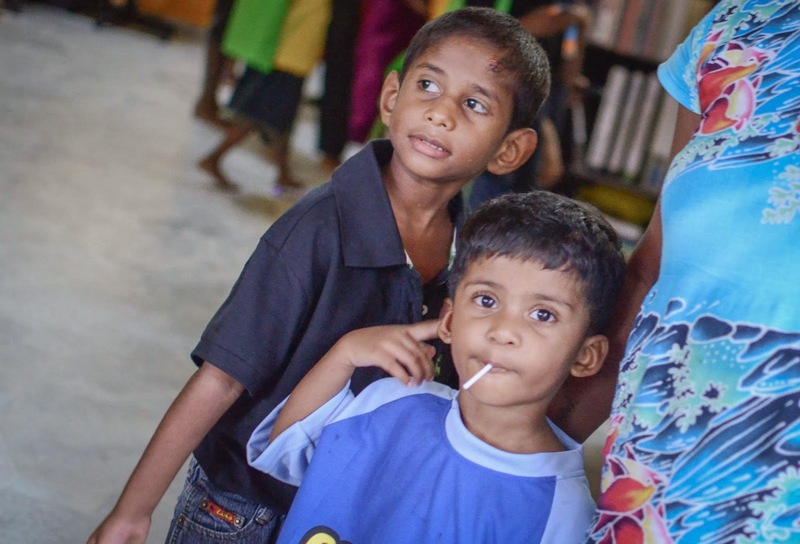 The children loves to read and goes to the nearby Aeon store to read for free. They also receive groceries from a private individual every 2 months. During Chinese New Year, they receive between RM500-1000 from several politicians, but this varies from year to year. Fortunately, the loan for their apartment has been fully settled. After paying off their monthly dues, they are left with very little for food and other household items. This family needs help to feed and provide for their children, as the children is the family’s way out of poverty. Please email a copy of the deposit slip to June at trccpenchala@gmail.com, and let her know how many months of groceries you would like to sponsor. 2. If you would like to help the family in other ways (i.e. other than the monthly groceries for the MOW FOOD BANK program), please contact June at trccpenchala@gmail.com or call +603-7784 9002 / +6012-2409020. She will provide you with the contact details of the family, and you can donate to them directly. Thank you for your compassion and generosity in helping this family.